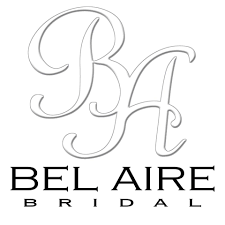 Elegant Bride Boutique proudly offers veils, belts headpieces, jewelry and more from both Bel Aire Bridal and Giselle Bridal. Click on either of the logos to the left to see what accessories our designers carry. After you’ve found the pieces you want, contact us so we can order them for you!